Sometimes I just get knocked off track when it comes to my blog. That is a bad thing. My main goal of this blog was to keep up with all my experiences through playing hockey. I know there was a 2 week span where I didn’t play hockey due to the holidays, but so much has happened and I need to update my blog more often than I have. My Stick Heads team on Tuesday night is doing very well. With 2 games to go, they are in 3rd place with a 6-2 record. The playoffs are not far away, and this team could do some damage. The key factor will be the hunger of the team. 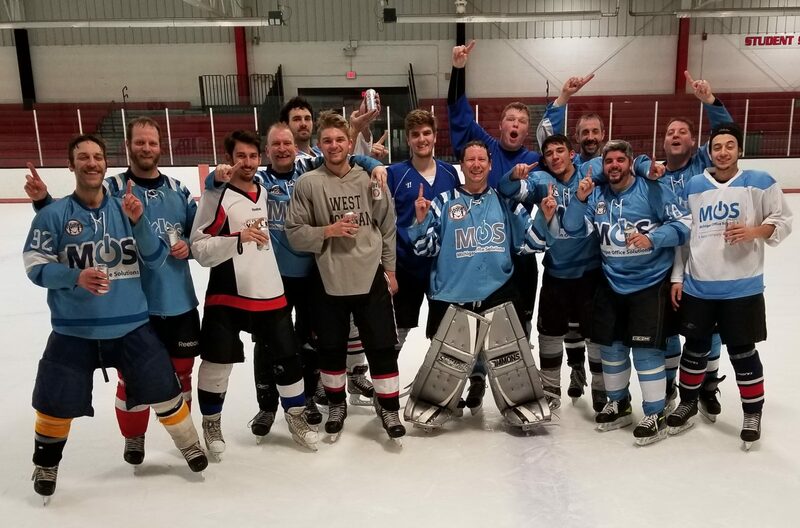 My ice hockey team on Wednesday night won last night in a crazy 9-8 game. The first period, I was stopping everything except 1 goal which was a great shot in the slot. I made a lot of diving saves on 2 on 1 chances. Then, the 2nd and 3rd periods I couldn’t stop anything. While they did have some good 2 on 1 chances they scored on, a few goals just took weird bounces. One went off my own defensemans skate, popped over my head and landed behind me. Another one went off my blocker, popped up and landed on my shoulder and then rolled in behind me. It was just really weird bounces all night long that went against me. Still, we won the game and it was not in a typical fashion. We were down 8-5 with 3 minutes to go and we tied it up with 16 seconds left in the game with me on the bench. Then, we won the faceoff forward, got a shot on net that trickled through the goalie and another forward just tapped it into the open net with 5 seconds to go. It was one of those game after it was all said and done that you look back on and just say, “Wow!”. I am more relieved we won than anything else. Lastly, my Dragons team on Thursday is in a playoff spot with a 5-2 record. With 3 games to go, we control our own destiny. I am looking forward to the game tonight.